We are easily located and can be accessed by car or bus. We are 1 hours drive from Shannon Airport and 3 hours drive from Dublin Airport. The most direct route to the College from abroad is via Shannon airport, which is one hour’s drive away. Numerous airlines service Shannon Airport including Aer Lingus, American Airlines, US Airlines, Air Canada, Delta Airlines etc. Further information is available from www.shannonairport.ie . 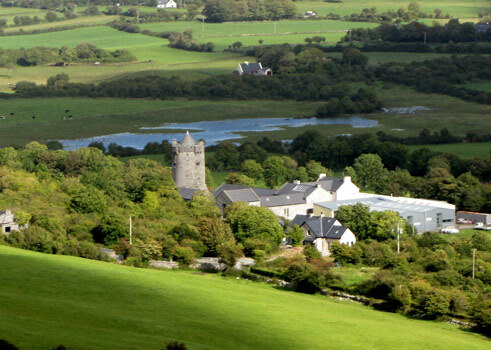 The College is a 3 hour drive from Dublin by car, 1 hour from Galway and approximately 1.5 hours to Limerick. For route planners and driving directions please visit www.google.maps. While there is no direct bus service from Shannon Airport to Ballyvaughan, it is possible to take connecting buses to Galway or Ennis and then on to Ballyvaughan. A number of local and national taxi services are also available, and car rental services are available in most major cities and airports. The College is located 2.4 km south of Ballyvaughan off of the N67 road.